Flat-out on purpose. That could be the slogan for this month. In June I celebrated exponential growth. But in my "Blogging my profit away" post I wrote that now I'm more interested in limiting time than in increasing profit. I liquidated 1/3 of my existing list, closed off my PI planets and stopped seeking new markets so aggressively. I simply doubt that there is any point pursuing more wealth after 100B. It's the price of a titan, the largest ship of the game. I could of course get several just because they look nice but there is no point. My focus is now sov-null. Of course it does not mean abandonment of business, just cutting back hours. I have to accept that after 100B I am time-limited and business becomes a farming activity. A 5-800M/hour farming, but still. As you can see the average income of the last month was 1.68B/day, 50B/month. The bumps are made by someone reaching T5 in FW. I know it's not much of a post. But such is the cash-cow life. It can only change if competitors force me out of my current market, and I indeed see some competition since my last "blogging my profit away" post. PS: I finally went to null to see it with my own eyes. The system was EC-P8R and the picture shows the Torrinos gate: Next time I'll go NPC null where I can actually dock. I created an unusual fit for my Buzzard (anyone surprised? ), both rigs provide +20% MWD cycle time, so that one cycle of MWD catapult me much closer to the bubble edge. Tuesday morning report: 123.3B (2.5B spent on main accounts, 1.9 spent on Logi/Carrier, 1.5 on Ragnarok, 1.1 on Rorqual, 1.4 on Nyx, 1.3 on Avatar, 2.6B received as gift). Have you ever considered leaving Hungary and working in the financial markets in London? Yes, but after I learned enough of finance and managed to calculate the long-term profit of the finance area as whole (anyone can guess it now, or those who can't just have to wait a few month for the Greeks and Spanish to explain him), I figured out I'm much better off with a profession (engineering) that has demand in countries with actual production. Congratulations on achieving the growth you have. I'm in a similar position myself, but it took me much longer to reach 100b than you (though I was diverting profits into nullsec and not reinvesting so heavily). Have you considered looking into investments which are less time-limited such as patch speculation? (reading the patch notes and speculating on price changes). It might be worth your time as there's a substantial profit to be made if you can analyse the changes correctly. Popular alternatives are PLEX speculation (highly capital limited), market forum bonds and character trading. I'm sure I don't need to tell you that those cycle time rigs are ridiculous. Yes, it is more cap efficient, but who cares? -- you never need to run it for more than 30 seconds in a buzzard anyway. On the other hand, if you're half way through the cycle and a hurricane jumps in behind you then you need to be gone in a hurry, and that crazy MWD cycle time will delay your warp by a few seconds. Most buzzard fits are better off with small shield extender rigs, warp speed rigs or probing rigs as they better fit the role of the buzzard. @Anonymous: the MWD runs just one cycle, right after activating it, you activate cloak too and that one cycle shall throw you as far from your start point as possible. Speculation: no thanks. Character trading: already in. @Gevlon - please add to your text that you are MWD + Cloak, not just MWD, with regard to your rigging. With the cloak, that fit justifiable but not recommended (it doesn't prevent the OCD Claw pilot from decloaking you, which is the real threat, IMO). Without, its ... ??? Also - you haven't written a "market strategy" post in what seems like forever. I'm into the drama, but your 'brand' is market strategy... don't let your Reddit popularity (hate?) go to your head! I see - that's how you're using the cycle time rigs. In that case the rigs are not ridiculous, but they're still not the best choice. I believe you would get a much better result using polycarbon rigs (speed boost). That will give you a greater travel distance under MWD (as you desire) but the increased speed will significantly decrease the chance of an interceptor decloaking you, while simultaneously giving you the flexibility to warp out 40% sooner. Polycarbons will also benefit you when gatecrashing, but cycle time rigs will not. On a Buzzard the cloak is implied and I am not fond of people using the term "MWD+cloak" for covops cloaks as it only tends to obscure the "real" MWD+cloak trick. The rigs are a decent choice although I would probably have preferred polycarbons if not rigging for probing. in my experience you either get decloaked within the first 10s or you won't get decloaked at all, so I would place a higher value on getting away fast from the location I dropped gate cloak at. Make yourself an overview setting with everything that can decloak you on it - especially corpses are often overlooked. with the right market skills you can station trade in enemy nullsec stations. you cant dock and so cant haul trade. i would be interested if it would be a viable form of market pvp, buying out entire supplies of critical war material and selling for profit when demand peaks. i've also not been a part of a nullsec alliance so dont know if their market hubs are rigiorusly policed for profiteering by members and outsiders. or if they use corp limited contracts instead of actual market sales. "i would be interested if it would be a viable form of market pvp, buying out entire supplies of critical war material and selling for profit when demand peaks." it is, especially for consumables like bombs. "i've also not been a part of a nullsec alliance so dont know if their market hubs are rigiorusly policed for profiteering by members and outsiders. or if they use corp limited contracts instead of actual market sales." This depends very much on the alliance, the more enlightened ones don't place limits on market markups as they understand that it is better to have an item available at a high price than not to have it available. Alliance contracts are often used to sell ships that are already fitted & rigged as the alliance's fleet doctrine demands (and most people are happy to pay a little extra for the convenience this provides). I think I've been puzzled on why you are Titan fixated. Is it the end game concept? Does it seem as close to winning Eve as you have found? I have been trying to understand your reason to play. Your goals look as if it is creating a narrow piece of the game for you to see. Or, is that the only part of the game you sew as worthy? I love your blog and reading it made me realize that pirates aren't bad people. I see now that you are challenging yourself by catching and defeating the hardest prey: another player. But I still don't find it any more interesting to do than watching the grass grow. I would literally have more fun mining or missioning. The only interesting and immersive PvP activity I could find is sov warfare, repainting the map. I believe I could contribute the most by flying a fleet-boosting, enemy hotdrop-baiting titan. I am sad that the supercaps are more or less disappeared from battles and I want to bring them back. 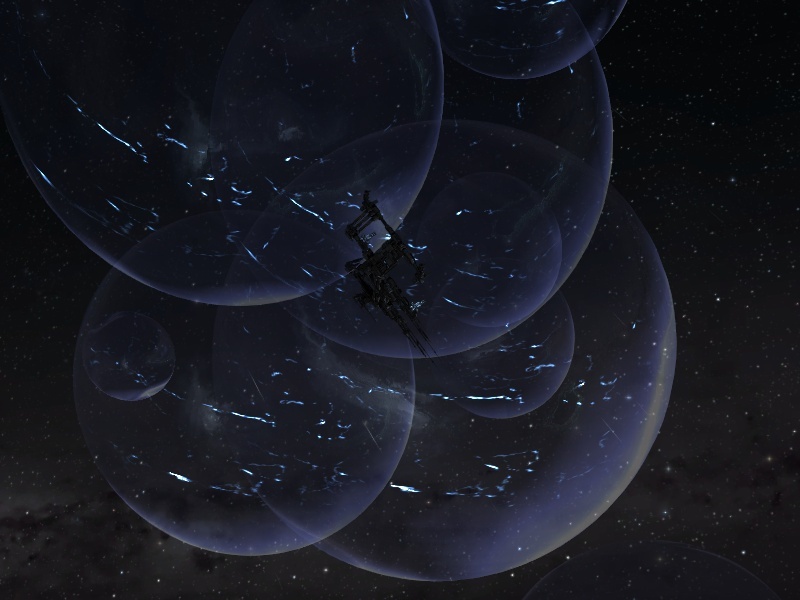 Ermmm ... if bubbles bother you, a Tengu with an interdiction nullifier would be a better bet. Seriously, you need to run those commands the other way around. Cloak first and *then* MWD. Yes normally the MWD will be disabled while you have your cloak on, however just after you activate it you will have 1-2 seconds to activate another module. The MWD will run for one cycle and then turn off. Why do it this way? Because MWDs blow up your signature - it makes it easier for a fast-locker with a high scan resolution to lock you before you activate cloak. Doing it in that order (MWD then cloak) with the low inertia of a CovOps lets you hit a much higher speed before you start to drop down to your cloaked speed. You'll make most of your total distance in those few seconds right around the cloaking event. It also means the search volume for anyone trying to guesstimate your cloaked path is a lot larger. 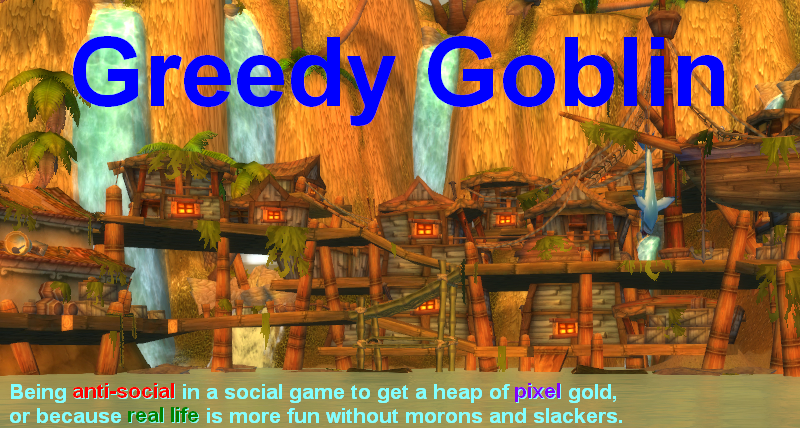 Yeah, passive and semi-passive (weekly rather than daily maintenance) income is "worth more" in ISK/playtime terms. I had a "nullsec junkman" setup going for a while, a couple of hundred buy orders picking up low-grade rat loot for about half of its salvage value. It brought in a few hundred million a week and all I had to do was go around every once in a while and gather up the scrap. Then I'd refine it and put it on the local (0.0) market at Jita + 25% prices. An hour of work whenever I felt like doing it (could be as slow as once a month). Yup ... put the cloak on F1, and the MWD on F2. F1, F2, MWD trick successfully done. You can do them in the other order, but as anon stated, it kinda misses the point. "F1, F2, MWD trick successfully done." (1) as I stated above the MWD+cloak "trick" does not involve a covops cloak, there is nothing clever about using your MWD and cloak to get out of a bubble if you are in a cloaky ship. MWD+cloak usually refers to aligning using the MWD+(improved)cloak, dropping cloak just as the MWD cycle ends and being able to instantly warp from there. Crucial parts are using the MWD's high acceleration to align faster while making sure that your cloaked speed at the end of your MWD cycle is higher than the velocity you need to enter warp without cloak and without MWD. This is a relatively safe way to survive gatecamps in non-cloaky ships (even works for Orcas if you fit them for agility and have nomads). (2) AFAIK the only reason you can activate cloak first and MWD second is also the reason why it doesn't matter in which order you use them - the server-side simulation runs on 1 second ticks and everything that happens between ticks is processed "simultaneously". The evidence we do have (such as https://forums.eveonline.com/default.aspx?g=posts&t=100244) points towards events being not processed in the order they happened between ticks but based on some different prioritization scheme. Whether you activate MWD and then cloak, or cloak and then MWD does very likely make no difference at all. There also is a lot of funkiness going on atm ("magnetic field stabilizing") that results in ships decloaking long before they are lockable (or can warp off) and quite a few covops pilots in my corp have complained recently about getting caught due to being unable to cloak. I would be very hesitant to rely on on-standard approaches in that sort of environment.